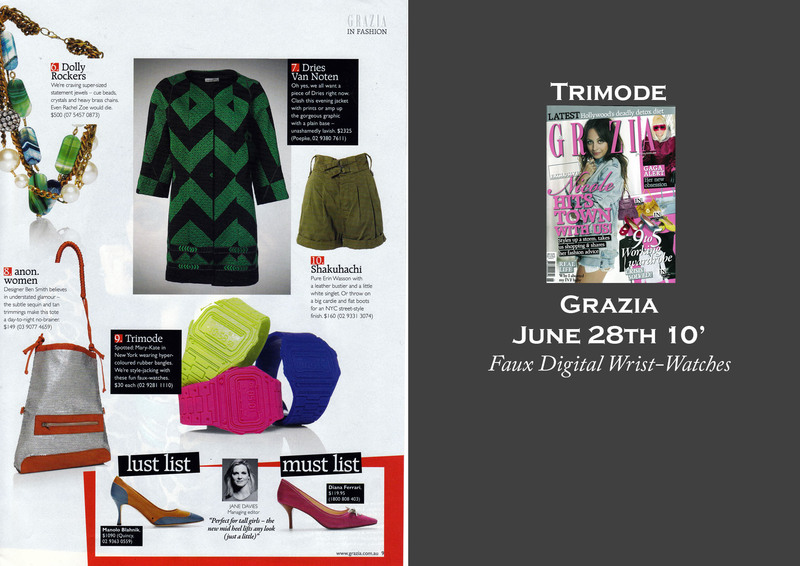 TRIMODE wrist watch bangle step into the top ten in the latest issue of GRAZIA ! Spotted : Mary-Kate in New York wearing hyper-coloured rubber bangles !!! Cheeze Recommended ! Put the ring on it !!! 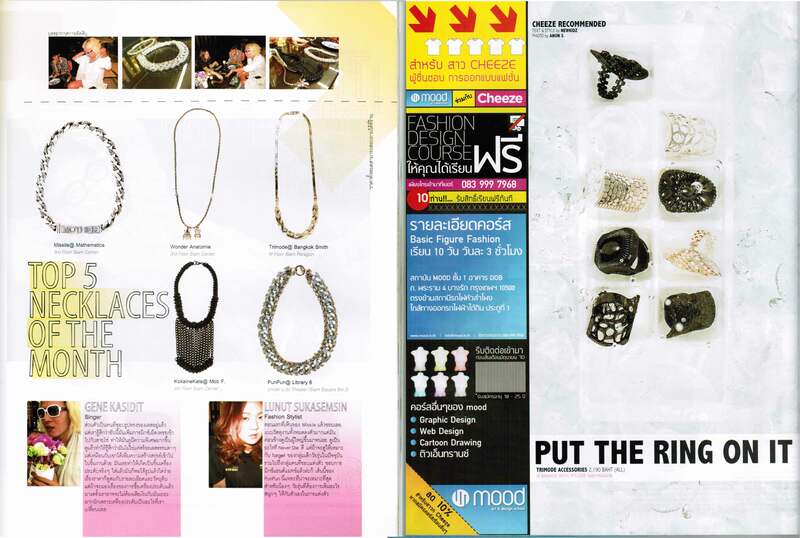 & Trimode the native necklace to the top 5 necklace of the month! In The Wood Stripe ring + Rolling stone Mag!